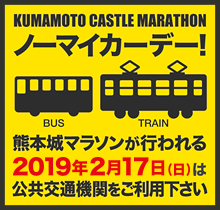 ※The marathon administration is not responsible for any runners unable to register in time due to traffic conditions, parking availability, etc. 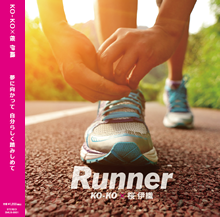 ※Registration will not be available on the day of the marathon. On the day of the marathon, it may be difficult to show your QR code from your webpage depending on web traffic conditions. To avoid this issue, please either print your number card voucher and bring it with you or take a screen shot of your QR code and use that to register instead. ※Screenshot-taking methods will differ by phone and maker. Please consult with your phone’s maker or your cell service provider if you have any questions regarding cell phone operation. Disability certificate, Kumamoto City Priority Card “Sakura Card”, student ID, etc. ※Only ID’s with pictures will be accepted. Copies of ID are not valid. Runner registration will be conducted based on the number on your number card voucher. Please go to the appropriate registration area and either display your QR code or provide your number card voucher. Number card voucher, Guidebook download can be found here (My Page Login).